Claudia is using Smore newsletters to spread the word online. 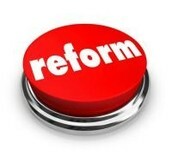 When was the Bankruptcy Reform Act passed? When was the original act passed and has the name of the act ever been changed? The original act was made by Congress on July 24th, 1970. The name was the Bankruptcy Abuse Prevention and Consumer Protection of 2005. What was happening before the act was passed? Bankruptcy filings grew steadily after World War Two. Congress formed a group to study the bankruptcy system and address the fairness. Why did those injustices occur? Congress amended the bankruptcy laws many times, some changes were significant, but many were specific and discreet issues. Was there a specific incident that triggered passage of the act? Bankruptcy wasn't major in the news. Only two businesses failed: Penn. Central Transportation Corporation in 1970 and Wisconsin Grant Company in 1975. What types of people are affected by this act? Who does it help? The Act of 1978 made it easier for businesses and individuals to file a bankruptcy and reorganize.